Visit the ruins of Chaco Canyon, dating from the zenith of Anasazi culture. Witness the traditional culture of the Navajo in Monument Valley. See ancient Acoma, “the sky city,” an imposing pueblo on a sandstone mesa. adults only. 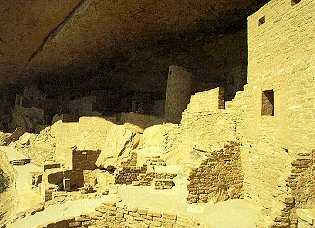 Travel picture of The ancient cliff-dwellings of the Southwest. My son and I are looking for a good backpacking route we could take through “Indian Country” during March 11-15, 2011. We’re especially interested in seeing some of the Native American ruins. We’re both experienced backpackers and very fit. We’d like to cover about 10 miles per day. Is there someone at your firm that we could hire to consult with us in the planning of our trip? Any help you can provide will be much appreciated.